A conservator is somebody who is appointed by the judge to oversee affairs of an incapacitated person. 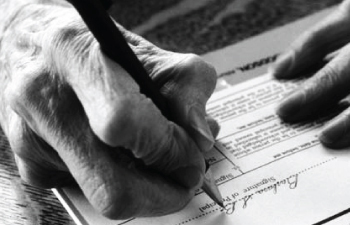 A vital part in the conservatorship process is having a knowledgeable attorney who will have the skills to properly complete and file the mandatory documents. At The Law Office of Kyle A. Patrick, our experienced attorneys can help you arrange for the care of your loved ones by providing expert advice regarding all areas of conservatorships. Our well-informed attorneys can aid to have yourself, or a relative be appointed as conservator with decision-making authority over your loved one’s health and finances. If you have a person, or persons who will never be able to live independently, you definitely want to make arrangements for a conservatorship at your passing. The Law Office of Kyle A. Patrick strives to provide personalized, dedicated service, that is reliable and trustworthy. Our law office is located in Riverside, California. To contact our law office please call 1(951).742.8010 or send us an email.